Sharjah Investment and Development Authority (Shurooq) has unveiled the array of outstanding recreational attractions and leisure amenities introduced in the second phase of developments at Al Montazah Amusement and Water Park, which has required an investment of more than AED 100 million. Details of the new features and extensions were revealed at a press conference today (Tuesday) at 1971 Design Space, The Flag Island, where Shurooq announced that in conjunction with adding new amenities, the capacity of the popular destination has been increased to accommodate 7,000 guests at the water park and 10,000 visitors at the amusement park. Shurooq announced that the water park at Al Montazah will reopen in February 2018 and the amusement park in the second quarter of 2018. The two facilities have been further developed with the aim of enriching Shurooq’s portfolio of tourist offerings and delivering premium services that meet the highest international standards in the leisure sector. 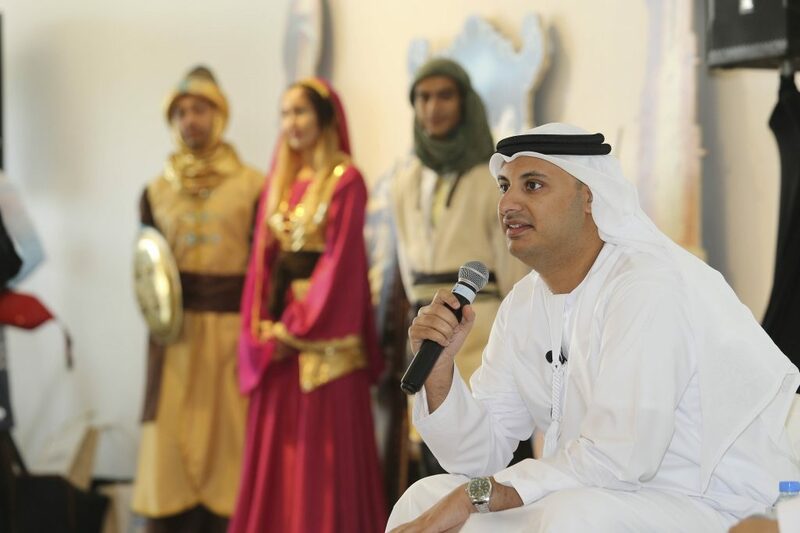 A presentation by Khalid Ibrahim Al Qaseer, Manager of Al Montazah, revealed the details of the destination’s new water park attraction Pearls Kingdom, with its theme inspired by the myth of ‘Princess Pearls’ who builds a kingdom through her knowledge of the precious sea stones. Khalid Al Qaseer noted that the aquatic park features 35 attractions, a wave pool which accommodates more than 200 visitors, a slide tower with new slides and a kids’ area that can hold up to 110 children aged 4 to 14 years. Referring to security, Al Qaseer pointed out that Al Montazah applies the highest standard of safety in the sector and is a member of the International Associations of Amusement Parks & Attractions and the World Waterparks Association and is certified by Ellis & Associates. He revealed that the water park has a medical clinic facility staffed by a certified team from the Ministry of Health (MoH). With respect to food and beverages (F&B), Al Qaseer underscored that the water park comprises a main F&B unit which can serve a variety of snacks to more than 1,000 guests per hour, along with three portable kiosks, which will make an array of refreshments available to visitors at various locations in the park, especially in highly crowded areas. Speaking about the new amusement park at Al Montazah, Al Qaseer explained that its title ‘Island of Legends’ is inspired by a story based on a time travel journey through nine countries. He pointed out that 26 attractions have been added to the park, with the rides made in Europe and North America by the world’s most eminent attractions manufacturers. He also highlighted that its adventure course has been expanded to accommodate a new kids’ element, with a bouncing net that accommodates up to 100 little ones at a time. He noted that the new attractions include a train that has two coaches carrying 40 guests, taking them on a journey that crosses all nine countries of the Island of Legends. Al Qaseer explained that the Island of Legends comprises two main F&B units that provide more than 1,500 guests per hour with a variety of food options, as well as four kiosks located throughout the park that serve light food and sweets. He underscored that the park has a TUV certification (third party safety certification), which indicates that it meets the world’s most prestigious safety standards. He also noted that it includes an on-site medical clinic with certified MoH staff, as with the water park. Al Qaseer highlighted that once the two parks are inaugurated officially, they will feature a programme of shows that includes in-house activities every week, with evening and night shows taking place on an open outdoor stage that can accommodate up to 500 guests. Al Montazah will also host two major events a year, with its new extension aimed at adding another dimension to Sharjah’s existing array of leisure and tourist attractions, of which the park has been a core component since Shurooq inaugurated it in May 2014.